A graham cracker crust recipe is perfect for those pies that just don’t suit a regular pie crust. Key lime pie and grasshopper pie are good examples of pies that work better with a graham cracker crust. Some pie recipes, like lemon meringue or chocolate pie work well with either a regular or cracker crust, so simply choose your preference. You can also make tarts with this recipe. Look below for instructions. 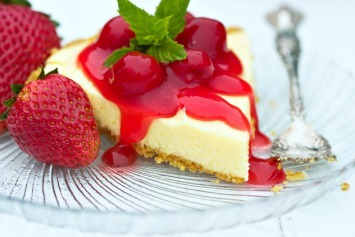 This crust recipe is also perfect for cheesecakes. Mix the crumbs, margarine and sugar. Press the mixture firmly against the bottom and side of a pie plate, 9" x 1 1/4". Bake for 10 minutes or until light brown. Cool before filling the pie shell. Makes a graham cracker crust for one 9″ pie. Note: You can reserve 3 tablespoons of the mixture for the topping, if desired. Here are a couple of great tasting variations on this pie crust recipe. Try them too to see which you prefer. Heat the oven to 325ºF. Substitute baked coconut for the graham cracker crumbs. Decrease the margarine to 3 tablespoons and omit the sugar. Bake for 15 minutes or until light brown. Substitute chocolate or vanilla wafer cookies or gingersnaps for the graham crackers. Decrease the margarine to 1/4 cup and omit the sugar. Bake as directed for the graham cracker crust. To use this recipe to make tarts, simply fill tart cups (I use my muffin tins) with the graham cracker mixture and press it into the bottom and sides as you do for the larger pie. Bake, cool, and fill with your favorite tart filling. Prepare as above except use a microwavable pie plate. Microwave uncovered on high for 2-3 minutes, rotating the pie plate 1/2 turn every minute, until set. You can use this graham cracker crust recipe for several desserts you will find here.